Ghostwatch: Behind the Curtains: "And Craig Fergeson, I believe, as the roving reporter..!" "And Craig Fergeson, I believe, as the roving reporter..!" It's all go this week, isn't it? 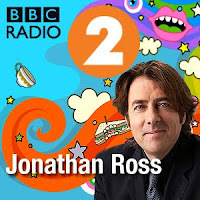 This morning, on the Jonathan Ross Radio Show for BBC Radio 2, guests Jeremy Dyson and Andy Nyman could be heard discussing their new stage production, Ghost Stories, and similar works including, Ghostwatch! You can check out a short excerpt from the show by clicking play below.